Both 1 and 2 Samuel take their name from the prophet Samuel, who is the major character. He may have written some of it, but not all, since an account of his death is found in chapter 25 of 1 Samuel. In the Hebrew Bible, 1 and 2 Samuel are combined into one book called 'Samuel.' 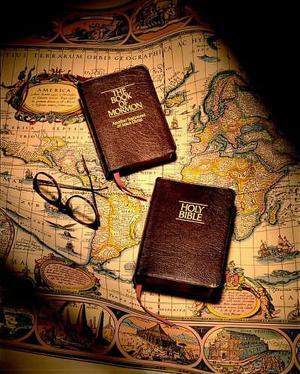 The Greek version of the Bible separated it into two books, which has continued to the present day. And, the King James Version calls 1 Samuel 'The first Book of the Kings' which is an appropriate title since it describes the anointing of Israel's first king – Saul. Samuel, meaning name of God, was the son of Elkanah and Hannah and was born in answer to his mother's fervent prayers. Samuel became a great prophet and judge of Israel in which he restored the law and order and established regular religious worship in the land. As well, this book describes the ministry of a prophet to the kings of Israel, so it is considered the story of a nation – that being Israel. The Israelites rejected the Lord's counsel to trust in him and to be ruled by judges and prophets and they instead asked for a king. It covers the time from Samuel's birth to Saul's death, which is estimated at being 1010B.C. During this particular time the tribes of Israel became somewhat united for the first time since the days of Moses and Joshua. This unity came under the first kings of Israel, who were anointed by Samuel. This page was last edited on 3 June 2011, at 13:26.